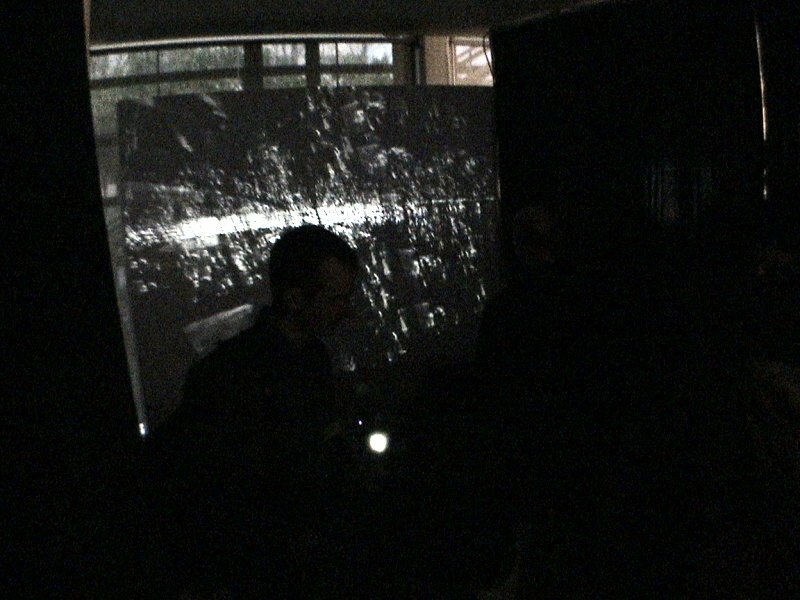 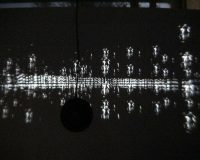 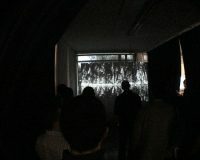 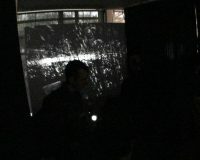 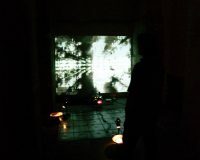 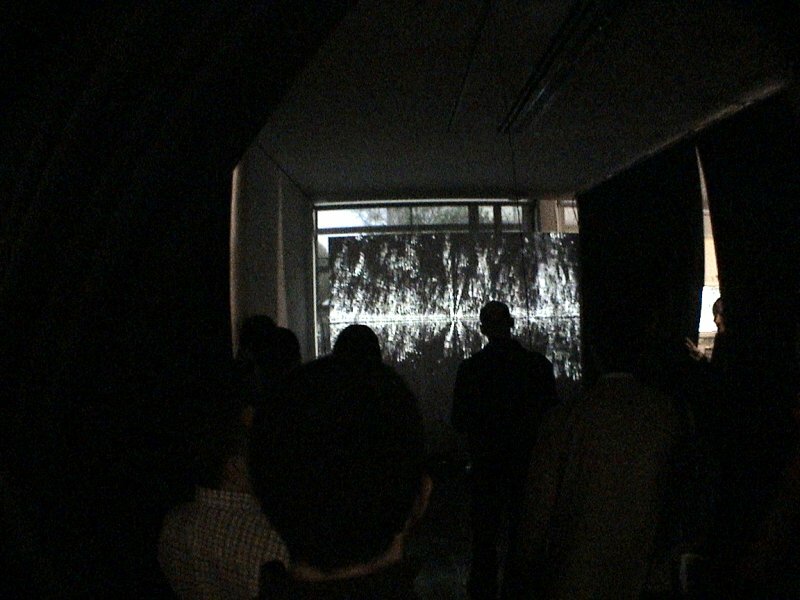 Descrição > struct_5 is an interactive device that captures and interferes with the sound and visual motion that occurs in a site-specific space. 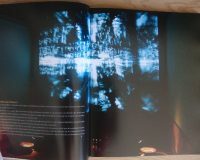 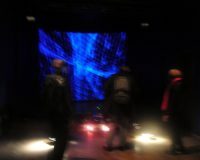 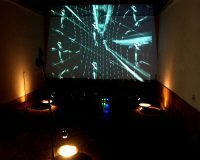 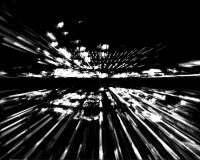 the installation creates an image of movement of the space into a forest of video planes that sculpt three dimensional space. 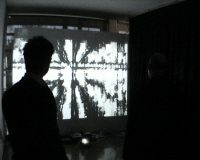 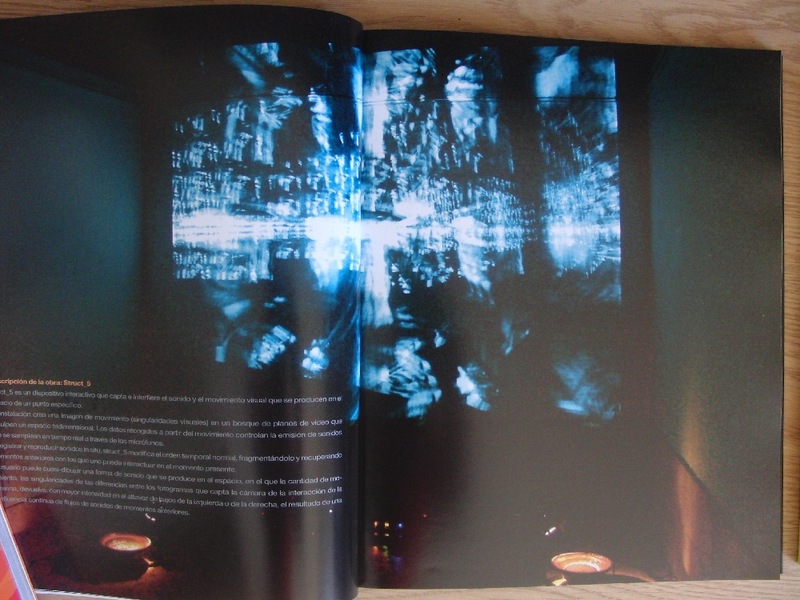 the data gathered from the movement controls the broadcast of sounds being sampled real-time from the microphones.